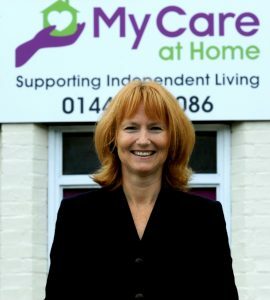 My Care at Home was formed by Maggie Fisher and a friend whilst on maternity leave, their motivation and inspiration came from wanting to deliver quality care and companionship for older people and vulnerable adults in their own homes. In Maggie’s early 20’s her grandmother came to live with her family, she had dementia and was also living with cancer. As a family they had to take care of all her physical and emotional needs, this was a very challenging time as a family and occasionally they required outside support. Trusting someone to come into your home and look after a family member is a big step to take, which is why My Care at Home was formed. We want to make this transition easier for you, offering support and advice and providing a reliable high quality service to meet your individual needs, or your family member’s needs. Maggie started her career in the NHS and qualified as a Registered General Nurse (RGN) in 1990. She then joined the British Army in 1992 as a Ward Sister, and progressed to the rank of senior Captain. Maggie specialised in Neurology and also gained ENB 998 teaching certificate. She served in Bosnia and during this time worked with the United Nations High Commission for Refugees (UNHCR) and World Health Organisation (WHO) to help improve the health services in the local communities, this included setting up GP led clinics. Maggie also worked as Night Sister at Military hospitals, responsible for the hospital during night hours, bed management and staffing issues. 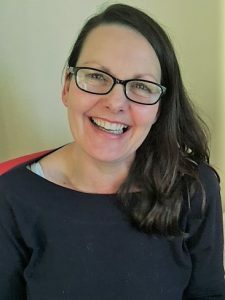 Maggie left the Army in 2001 and worked in the pharmaceutical industry as an Account Manager, responsible for business planning and liaising with commissioners in the NHS and offering support with service redesign. Maggie combines her medical and business acumen to support quality of care and business growth. Amanda is an experienced Manger, she brings with her a wealth of knowledge which she uses every day in her role as Care Manager. She shares our vision of providing high quality care in your own home. She is passionate about the company and delivering Outstanding results. Amanda is focused on delivering comprehensive training to our Care workers to ensure they are well prepared when they go out into the community to deliver care. She is working very closely with our Occupational Development Coordinator to ensure our training continues to be updated and delivered to the highest standards. Our training is a real mix of sharing knowledge and then applying it practically in a safe environment. If you would like to book a care assessment for yourself or a member of your family, please give Amanda a call. Michelle Davis is our Deputy Care Manager. 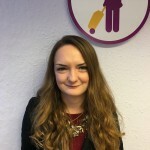 She has 13 years experience in the care sector, working in both residential and home care. 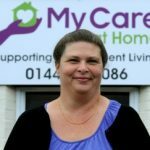 Michelle loves working in Home Care and has worked as a Care Worker and Care Coordinator for My Care at Home. Her standards are very high and she has an eye for detail and drive for improving the quality of our service. Kirsten Walker is our Training Coordinator. Kirsten has been working in care settings since 1991 and became a trainer in 2003 and a training assessor in 2007. She has worked in elderly care, maternity services and with special educational needs and challenging behaviour in young Adults. Kirsten can often be seen in the community delivering care and taking the On-Call phone. This means Kirsten knows first hand what our clients needs are and helps her to deliver a more person centred training experience. Our Care certificate training has been carefully developed by Kirsten to ensure our care workers are fully supported and prepared to look after our clients in the community. She also organises and delivers all our annual training. I have worked in the care industry for 20 years in various settings. I started out as a care worker in a nursing home working night duties whilst my children were young. I then moved on to work for a small family run company providing full time and respite care for adults with learning disabilities. 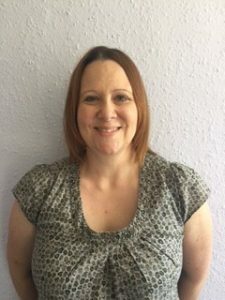 Once my youngest child started full time school I wanted to progress, I completed my NVQ level 3 in Health and Social Care and began working for Suffolk County Council as a Support Worker in a very sheltered housing setting. I worked there for 11 years, the last 4 years I was a senior support worker. Wanting a challenge and a change of direction I joined My Care at Home as Care Coordinator. I have been able to transfer my skills, knowledge and experience to ensure our Clients and Staff have a positive experience. I enjoy the office environment and communicating with clients, relatives, staff and outside professionals on a daily basis. It is very rewarding to know that I have been part of a working process , which enables an individual to be cared for in their own home environment where they feel safe, happy and content. 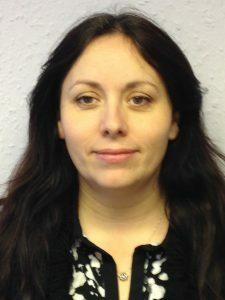 Marianne Smith is our Office Administrator. Marianne supports all our care workers, office staff and clients, organising all our general administration.